In just 50 minutes you will achieve a full-body workout concentrating on the areas women struggle with the most: hips, thighs, seat, abdominals and arms. The Pure Barre technique is low-impact, protecting your joints by avoiding any bouncing or jumping. Each strength section of the workout is followed by a stretching section in order to create long, lean muscles without bulk. Absolutely loved this class! Katie was an amazing instructor and everyone was so friendly! The class was a great workout, but the instructor wasn’t very good at directions. She kind of rushed through everything and didn’t give much guidance. 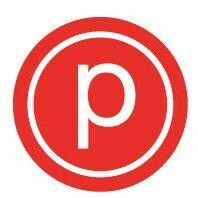 I’ve been to other Pure Barre locations and this one was by far my favorite! Katie was great and the workout was different than any other barre workout I’ve done that can tend to be repetitive. I felt comfortable right from the start. everyone was friendly and accommodating! I like the workout at Barre3 a lot better. Stephanie was amazing! Shes great at pushing the class and making it fun! Ashley had great energy and was very positive and encouraging! Class was challenging, instructor was ok.
More intense than you think its gonna be, in a good way! Excellent for working the core, particularly obliques. Full body workout.